Traditional photometry labs are a thing of the past. The performance of LED based luminaires is highly angular dependent and requires a new level of sophistication for complete characterization. The GLG 30-1800 combines the functionality of a goniophotometer with the features of a spectroradiometer to measure brightness and to check angle dependence luminous intensity distribution. 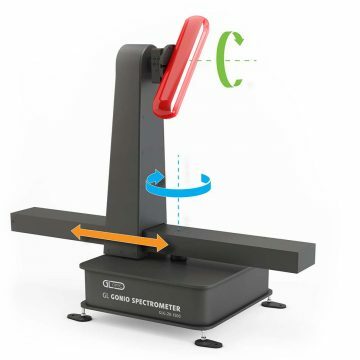 Specifically engineered for lighting manufacturers who want to stay ahead of the competition and take control of their product development earlier, the GLG 30-1800 light goniometer offers exceptional value. For many companies, the payback period is less than 5 years when they compare the purchase of a system vs. sending lamps to an external lab. It also leads to more frequent characterization resulting in better products that reach the market faster. The GLG 30-1800 gonio spectrometer removes the dependency on highly skilled technicians to deliver reliable results. With easy to use software, precise alignment protocols and extensive automation capabilities, the system offers a new level of performance and usability. 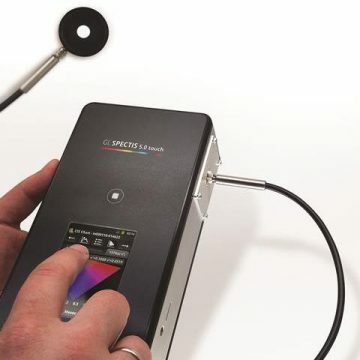 While this goniospectrophotometer generates spectral and color data at any angle, it remains true to its primary use – generating IES/LDT output files, simply and with the click of a button. With an extended max load up to 30kg and 1800mm diameter max dimension, the GLG 30-1800 will cover most of the demand for testing. Have a range of small and large fixtures? No problem. The system can accurately characterize big and small fixtures without any mechanical changes. LED manufacturers need to make additional efforts to continuously improve their products and deliver specifications of their products to light designers requiring testing in a photometric lab. As your business grows and the number of products in your portfolio increases rapidly, the need for testing and verification becomes more critical. At GL Optic, we ensure manufacturers and developers are prepared with an ability to control and improve the lighting quality from initial component purchase though product development, and up to the final product testing. When you simply have too many lamps and luminaires to test, it becomes expensive and time-consuming to continue sending lamps to an external laboratory. Not only you can control this process yourselves, you can save time and money in the end while also building up important knowledge inside the company that will benefit future products. How do you choose the optimal light measurement goniometer? We understand that many customers have concerns about how complicated it is to set up and operate a goniometer system in their own laboratory. 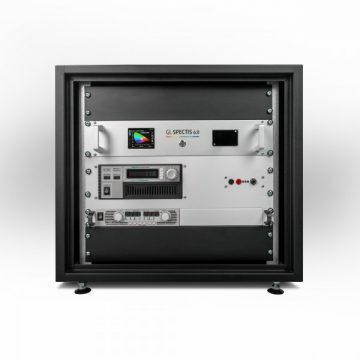 This was a driving force behind the design of the GL gonio spectrometer – create an easy to use system for any technical person without any compromise in accuracy or reliability. 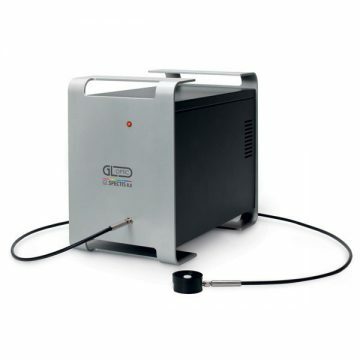 The GL goniospectrophotometer design offers a turn-key LED light measurement system which can be easily installed and operated by every lighting manufacturer or laboratory.